The Skylanders are back again with Skylanders: Ring of Heroes (Free). I’ll be honest here. I never managed to play any of the original Skylanders titles. I’m still not entirely sure how the original games play, but as a retail worker back in its heyday, I spent a lot of time restocking shelves with its colorful character figures and wrapping security tags around the more sought after ones. Yes, these things were prime shoplifting targets. My point here is that Skylanders: Ring of Heroes may be my first time messing around with its mix of quick-witted and brutish characters, but it’s certainly not my first time seeing them. So, is mobile the next logical step for Activision’s child magnet? Sadly, yes. But that doesn’t mean it’s a good game. 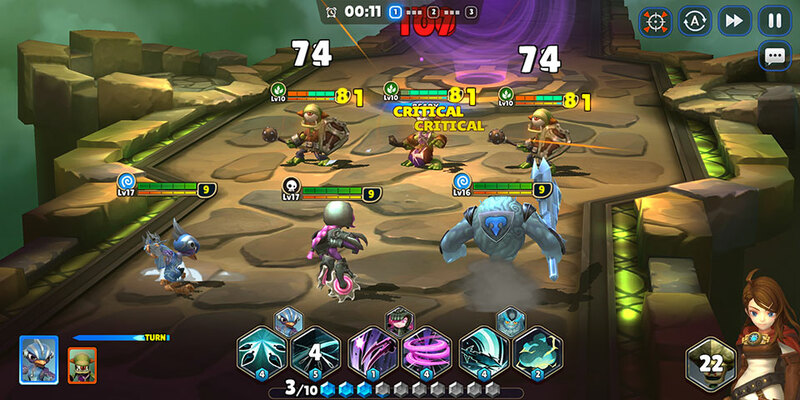 Skylanders: Ring of Heroes is a turn-based RPG, though not in the traditional sense. Rather than taking your time to issue orders and watching the action unfold before doing it all again, combat runs on a queue system with a constantly regenerating resource dictating how often you can strike. You take 3 of your chosen Skylanders into battle against enemy teams of various sizes and spend mana to queue your choice of attacks. Each Skylander can bring 2 attacks, each with varying mana costs, into each fight with other passive abilities further augmenting stats and strategy. You don’t select your attacks and hit an Execute or End button to kick things off, you’re just expected to think on your feet to efficiently spend your ever-regenerating mana to blow through waves of enemies until the stage or level comes to a close. That’s the entire game, honestly. The frankly overused base building mechanic seen in countless other games returns, but it looks thrown in as an after-thought and won’t manage to distract you from the core experience for very long. Expect to fight in gauntlets for varying rewards and do very little else. 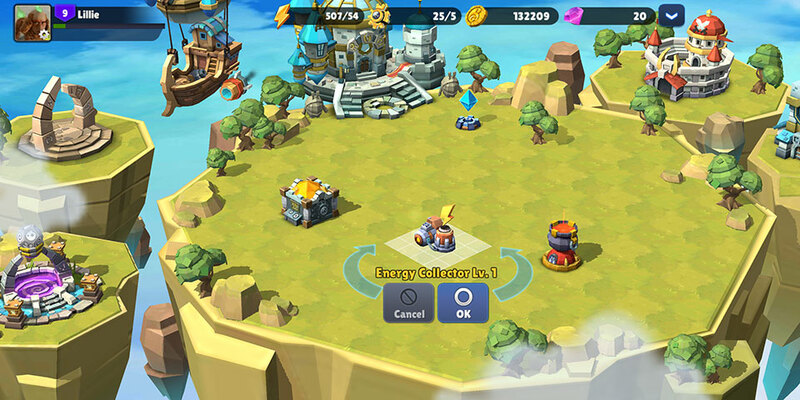 What we’re looking at here is essentially Summoners War recreated with Skylanders assets. I say recreated because as a title released back in 2014, mobile graphics have come a long way in what is now close to 5 years. The core gameplay remains the same, but Skylanders: Ring of Heroes is a far more visually appealing title in today’s world with high-quality character models, flashy attack animations with some dramatic cut-ins for added drama, and a base building segment that isn’t forced to display sprites instead of actual 3D models to save the game burning through your battery in 10 minutes flat. It’s difficult to properly review a videogame like Skylanders: Ring of Heroes. It’s clearly not targeted at me. But as a long-time fan of turn-based RPGs, I can say that the core gameplay is fairly solid thanks to the complex strategies enabled by each Skylander have more skills and abilities than the two they can bring into battle. But at the same time, it’s that fast-paced combat and dizzying amounts of customization menus that make me think this particular take on the franchise might not be a good fit for its prime target audience. The gameplay loop is simple enough that younger children should be able to buckle down with relative ease, but I can see a bunch of kids getting frustrated when the game of numbers suddenly falls out of their favor and they struggle to navigate the menus to figure out how to progress. Even at age 25, I found Skylanders: Ring of Heroes to be overwhelming. The main screen is cluttered with buttons, powering up your characters is a convoluted process across at least 6 other menus, and just part 1 of the game is a long list of nearly 100 quests split between late tutorials and repetitive battles that are too infrequently separated by the character dialogue that would otherwise remind younger players that this is, in fact, a Skylanders game. Expect a barrage of incentives to spend cash to keep your kids gambling on random character rolls or “summons", too – though the Skylanders franchise begging for additional spending isn’t anything new. 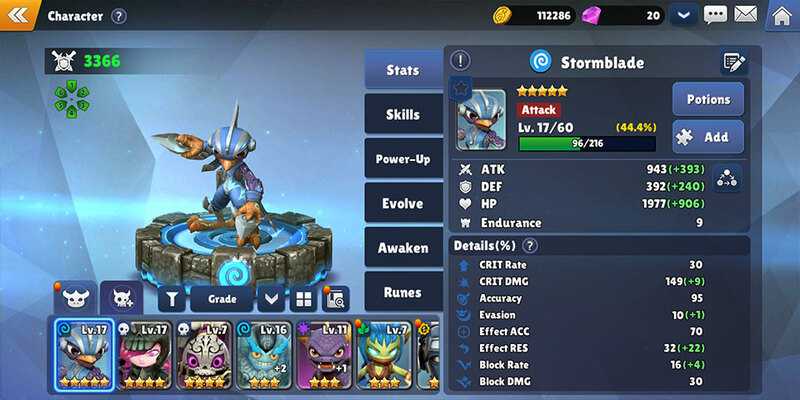 Skylanders: Ring of Heroes is a solid turn-based RPG, but it’s quite clearly a Summoners War skin slapped onto a familiar franchise for a very transparent reason. Character familiarity will go a long way in enticing fans of the franchise into this relatively new experience, but rare character interaction, complex combat mechanics, a dizzying number of menus, and an almost criminal amount of banner ads encouraging young and impressionable minds to spend cash all hold this game back from being a strong recommendation to something parents will probably soon regret using to keep their little ones occupied. You could argue that the cons point toward a great gateway game parents can play with their Skylanders-obsessed kids, but there are far better options out there at this point.